Life in Ukraine means hopping around to some of Europe’s most impressive cathedrals by riding underground on this metro system. It can seem a bit confusing especially if you don’t speak the language and don’t have any public transportation experience, but don’t worry! With a few tips, you’ll be a pro in no time. 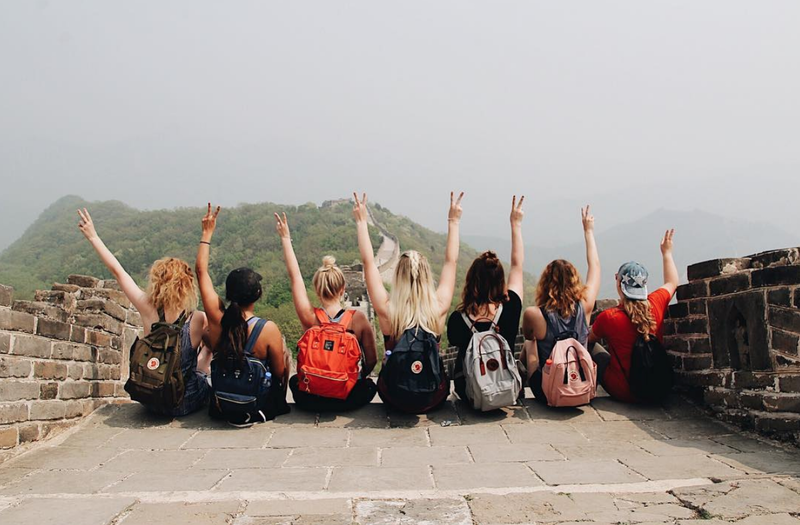 Wondering what else you need to know before visiting? 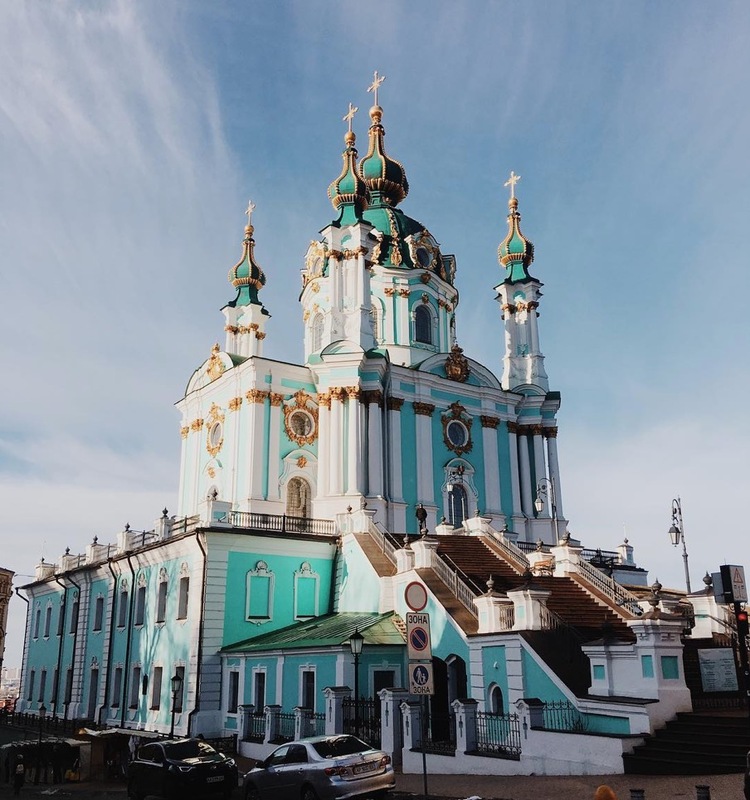 Check out our total guide for Kiev, Ukraine. It’s amazing, which is important to know. The metro in Kiev is the third built in the Soviet Union, just after Moscow and St. Petersburg. There are three lines that get you to 52 stations and helps just over a million people get around every day. This metro is also home to the deepest station in the entire world: Aresenalna. The lines are all color coded which makes getting around easier: there’s the red line, the blue line, and the green line. Easy enough to remember, right? 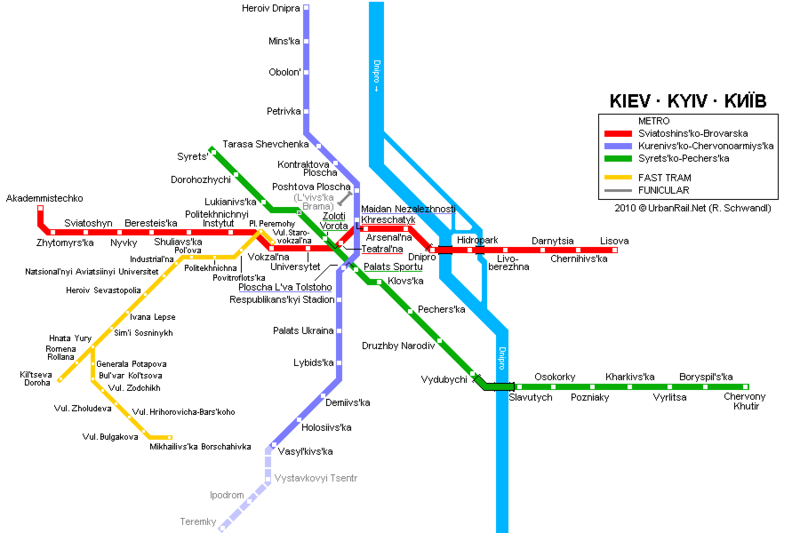 Get a map of the Kiev metro here. 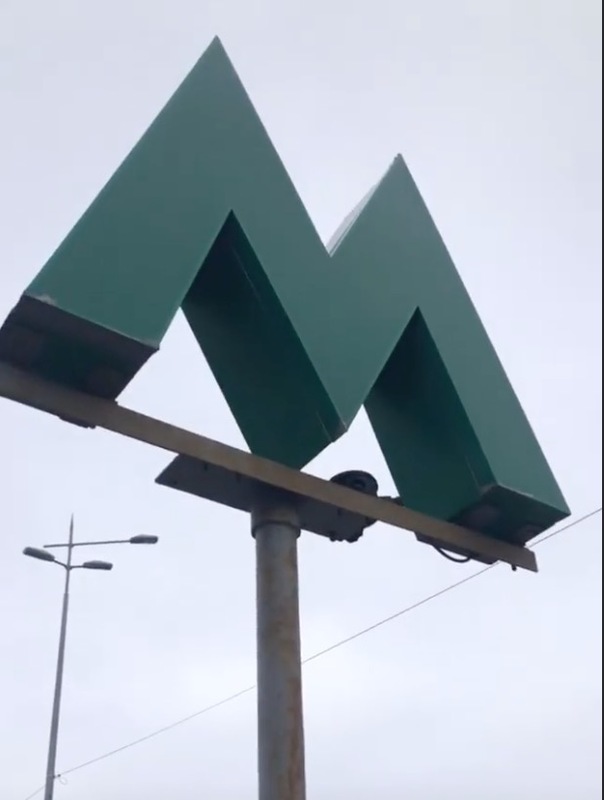 The metro is easy to find once you are above ground, just look out for the green Metro “m” that will let you know there’s a metro station near you. These stations are sometimes above ground in metro buildings (look for the green "M" on top), or sometimes you’ll see the “M” sign and you’ll just head downstairs to reach the metro entrance. The metro opens daily at 6:00 AM and typically runs until midnight. Trains usually arrive every 2-3 minute, especially during busier rush hour times (7:00 AM to 10:00 AM and 5:00 PM to 8:00 PM). When it’s not rush hour (or it’s a weekend or holiday) trains arrive every 5-10 minutes. That’s also the schedule the metro runs on during the weekends and on holidays. Either way, you don’t have to wait long for the metro to arrive. Tickets are priced per ride, you can ride as long as you’d like making multiple transfers, just on one ticket. The ticket “ends” once you exit the metro and are very inexpensive (8 UAH per ride). To buy a ticket, you can just head to the lobby of any metro station. There will be kiosks where you can buy a ticket (it’s a little green token) from someone at a desk (just hand over some small bills and hold up fingers for how many tickets you need to buy, and pay). You can also head to little automated kiosks at some of the stations where you’ll just select your route, insert your money, and get your ticket. If you’ll be living in Ukraine for a semester (hey hey, ILP Ukraine volunteers!) you’ll most likely get a multi-use card that you can just use without needing to get a new ticket every time you ride the metro. That comes in handy when you’ll be riding the metro multiple times a day, for a few months. For the typical tourist who is just visiting Kiev for a few days, buying tickets per ride is going to be your best bet. Once you have your ticket, you can drop your token in the turnstile or scan your card and head down to the boarding platform. You’ll probably need to take a long escalator ride to get down to the depths of the underground (pst: it’s very good manners to stand to the right and let people who are walking down go to your left). Then just hop on your train and wait for it to stop at the station you’re looking for. Some of the station signs and announcements will be made in English, but not always. To help you out, you can use this app for iOS and this app for Android to help you plot your route and identify which station you need to get off at. You can view the map and your route in English which is handy. Arsenalna (red line) isn’t exactly a stunner, but as the deepest metro station in the world, it’s worth a visit. Kreshchatyk (red line) is covered with colorful tiles referencing Ukraine’s folk culture. Zoloti Vorota (green line) makes everyone’s list of favorites, complete with soaring archways and rows of chandeliers. Think you’re ready for some of Ukraine’s most surprising adventures? If you can handle cathedrals of every color, grocery stores with an entire chocolate aisle, and vacation time to explore other cities in Europe you sound about ready. Come volunteer in Ukraine with ILP! 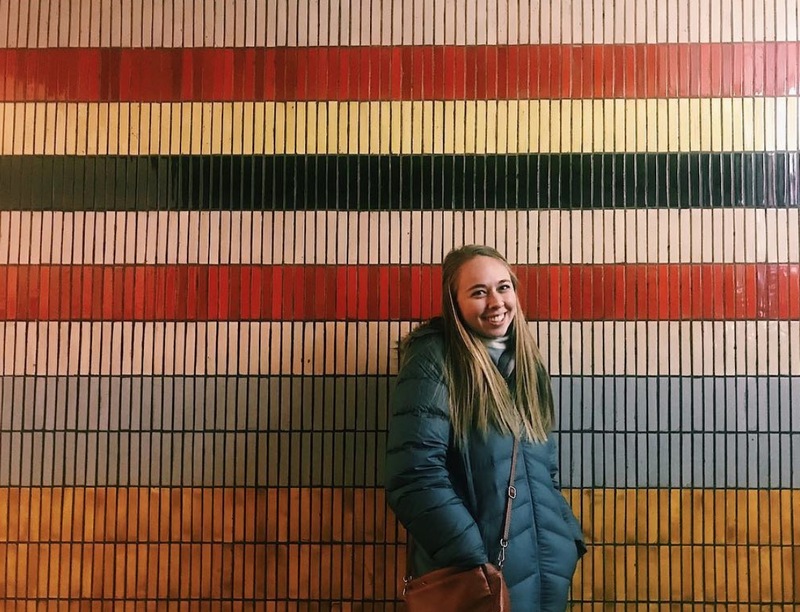 Volunteers spend part of their day teaching English and part of their day exploring the city of Kiev for a whole semester … plenty of time to explore all of the city's metro stations.